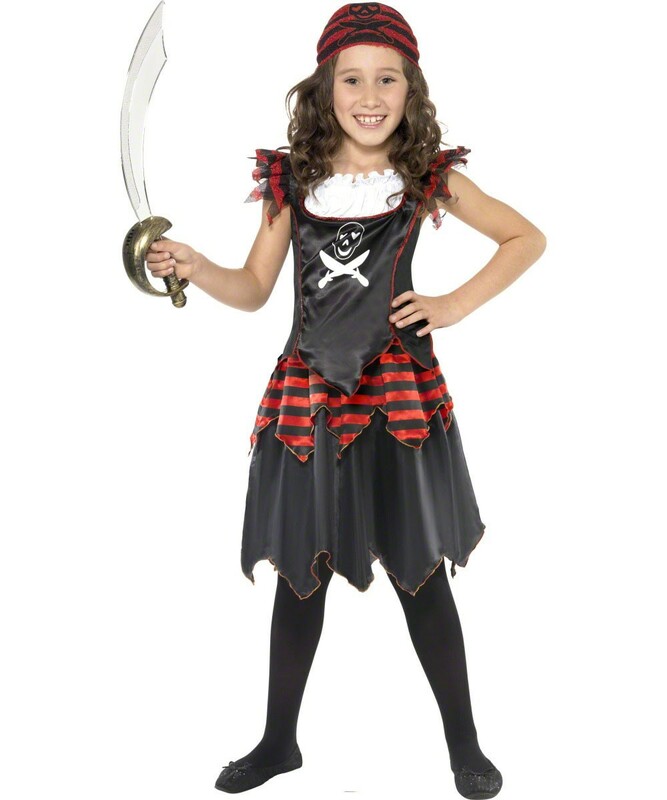 This gothic pirate costume includes dress and matching bandana. A popular children’s fancy dress theme for any occasion! A gothic girl’s pirate costume with dress and matching bandana. The dress has classic red and black striped design with skull and crossbones design on the front, as pictured. The matching striped bandana perfectly completes the outfit! Please note that the sword is not included.